Derrick “Suede” Stout is a versatile, self-taught, multi-instrumentalist. He has been writing and performing his own music for over thirty years. His vocal styling uses the best of Elvis was well as crooning like Sinatra. He’s composed over 1000 musical pieces and produced music for major motion pictures, TV (including HBO’s True Blood), and commercials, and has sold over 100,000 CDs. As a seasoned record producer, Suede just completed his 115th album for Vocalist Susie d’Lux entitled Revere. In the last few years he & his players have performed with such musicians including Sir Paul McCartney, Sir Elton John, Sheryl Crow, Neil Young, Eric Clapton, Billy Joel, Willie Nelson, Sting, and have been members of such bands as Garbage, Brian Wilson, Filter, & Smashing Pumpkins, to name a few. He co-authored How to Save Time, Money and Headaches in the Studio and, in 1996, started his own record labels - Deerpath Music & Darwin Records, a long-time sponsor of the Bitter Jester Music Festival (providing studio recording time to some very lucky bands). The music on Deerpath Music is smooth jazz/new age/acoustic instrumental music and all of the compositions are original. His label is distributed through Orchard Distribution. Besides running his label and recording studio, Darwin Records, Suede also fronts a rock band called t h e t u r n s t y l e s and performs regularly in the United States and abroad. Again, showing his versatile talents, he also fronts the Derrick Stout JazzOrchestra (D.S.O.) which also performs regularly. Finally, in an effort to support his record company, He also owns an internet consulting company which helps individuals as well as companies find their presence on the web. Since the music on Deerpath Music is not commercial or mainstream, and since he is President of an independent label, Suede uses his creative talents in a variety of different areas in order to continue producing quality music composed by some of the most talented musicians in Chicago. He is dedicated to releasing creative & original music. Besides running his record label and recording studio, Suede keeps busy headlining several acts. He has developed a plethora of musical incarnations, ranging from the upper-scale Derrick Stout Orchestra, to t h e t u r n s t y l e s (a rock & pop band), to the Acoustic Duo, as well as solo piano concertos. With these various bands Suede is able to play any musical genre- with the utmost authenticity, charisma and professionalism. 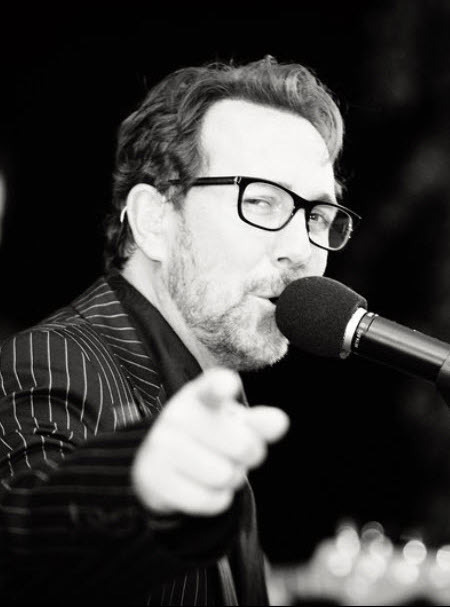 Covers range from Elvis Costello to U2 to The Beatles and Sinatra. He currently performs at over 150 live events per year.